As an ingredient, game has been in and out of fashion more times than you can shake a pair of flares at. Once considered a cheap and easily accessible protein, while at others it was the mark of the blue-blooded British aristocracy, recent years have seen game meats come back from relative obscurity to widespread popularity. The strong taste and association with hunting are factors which often put people off cooking with game, especially when so many commercially produced meats (chicken, pork, beef etc.) are more readily available, and altogether more familiar. However, the fact that many chefs and restaurants have championed the use of game meat for many years has led to a growing acceptance, and even excitement, at the possibilities it has to offer. The food industry has seen a real shift of focus over the past decade on to the provenance of produce, with a greater awareness of health implications and incidents – such as ‘horsegate’ – putting pressure on retailers, producers and manufacturers to be more transparent about what goes into our food and where it comes from. In turn, local butchers, farmers markets and suppliers are having something of a renaissance, as more shoppers shun supermarket shelves in favour of local, organically produced meat. With a greater range on offer than that found in supermarkets, game meats such as venison, pheasant and rabbit have therefore enjoyed a resurgence through these circumstances. 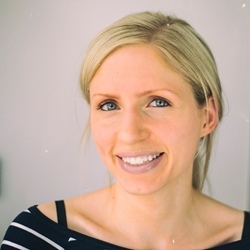 There's plenty to recommend it, too – being a naturally lean form of protein makes game a good choice for the health conscious, and the fact that it is not intensively farmed gives it appeal to ethically minded shoppers. Through this renewed interest in game comes a joyful rediscovery of traditional dishes such as terrines, stews and pies, which have once again become popular choices for both chefs and home cooks alike. Pies have always been one of the most popular ways of cooking with game in Britain due to several factors. 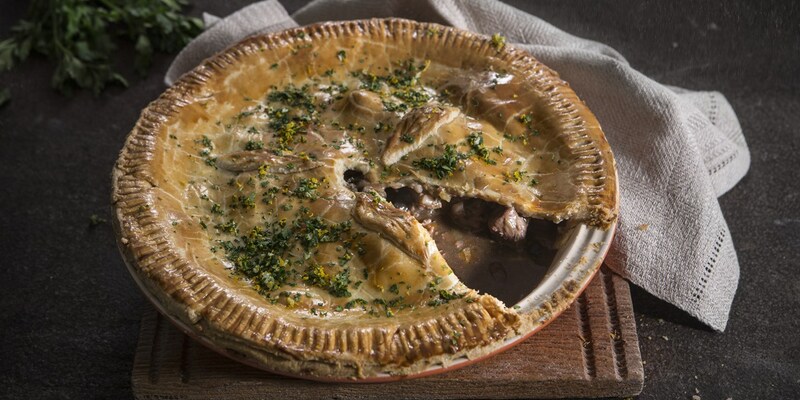 The lean nature of most game meat means that it requires long, slow cooking to reach its truly tender potential – perfect for pie making – and the meat’s rich flavour pairs particularly well with intense gravies and golden, buttery pastry. Seasonality also plays an important part in the popularity of game pies – British game season runs mainly through autumn and winter, meaning it is most widely available (and at its best) during these colder months when a hearty pie is the perfect antidote to a chilly evening. A match made in heaven then? Or more precisely, in Rome. Already pioneers of the pie, early forms of the game pie made with pheasant, pigeon and a variety of other meats were supposedly eaten by the Romans – although, such is the great tragedy of historical pie eating, in most cases the pastry was only used to hold the meats for cooking and discarded when eaten. The game pie only really began its rise to fame in Britain in the sixteenth century, going through several incarnations along the way. Early versions were cooked more in line with their Roman ancestors – pastry 'coffins' used to encase whatever meat could be found, ranging from herons and swans, to pigeons and blackbirds. This made the pie a cheap and easy choice for many people, with none of the frills and glamour often associated with it. By contrast the era of the Tudors and Stuarts brought with it exactly that, with the fashion for royal feasting and banqueting allowing bakers to exercise their creative talents with experimental fillings, shapes and decorations in order to impress. Indeed, highly decorated and elaborate pies remained in favour with the monarchy, and thus within British society in general, throughout this time. Around the time of Henry VIII, turkeys were first introduced to Britain and led to the creation of an impressive Christmas Pie. This supposedly contained a pigeon, wrapped in a partridge, wrapped in a chicken, wrapped in a goose, wrapped in a turkey, wrapped in pastry, and was often served with hare, wild fowl and other meats on the side – quite the centrepiece, and the precursor of the traditional three-bird or five-bird roast still popular today. Around the time of Henry VIII, turkeys were first introduced to Britain and led to the creation of an impressive Christmas Pie. It was during the eighteenth and nineteenth centuries that the game pie underwent its most fundamental changes, including an initial move away from the traditional pastry case. The industrial revolution in Britain led to wider production of goods which included ceramics and pottery. The forerunner of this, Josiah Wedgwood, was approached by prolific writer and inventor Richard Lovell Edgeworth in 1786 to create a pie dish or mould from his famous ceramics. The first recorded mould of this kind was made in 1974, with Wedgwood perfecting a caneware dish that was so pale in colour it perfectly resembled a pastry exterior. Glazed and decorated with elaborate flora and fauna, the dish was complete with a ceramic lid, often topped with an animal-shaped handle, that would startle the diners, expecting pastry, when lifted to reveal the meat filling. This invention was no doubt in part due to the slight decline in national flour production and consumption after the industry took a hit from increased potato farming and industrial practises. An economical choice, diners could imitate a pie, without the need for pastry at all. During the early 1800s, these moulds really came into their own as the Napoleonic Blockades put an embargo on European trade with Britain, and thus further reduced the the availability of flour for pastry. In addition, the 1816 Game Laws limited game hunting to landowners only, with strict penalties for anyone caught poaching. Restricted more than ever to the upper classes, the game pie became a status symbol – a display of wealth in relation to the land you owned to hunt on, the elaborate decorations of your mould or your ability to be able to afford the limited supplies of flour for pastry. Luckily for the future of the pie, Britain’s flour resources slowly returned to normal, with the Corn Laws of 1815 and 1846 helping British producers to re-establish a fair price for the grain. Progressive industry also meant the introduction of more affordable materials, with the introduction of the sprung metal pie tin during this time allowing the pastry again to shine in the game pie. The traditional pastry pies had been free-standing, so the pastry had to be substantial enough to support the weight of the whole pie, making it rather tough and notoriously inedible. The metal tin, however, allowed for a slightly less robust pastry to be used as it was supported by the tin while cooked (with the spring-clip then allowed for easy release once cooled). Now that the pastry was once more the star of the dish, bakers could go to town on pastry decorations, with elaborate moulds, cutters and engravings used to embellish the finished dish. After a time languishing in culinary limbo – inevitably the technical developments that made the pie so accessible also made it less special, with mass-produced pre-made pies filling our freezers in lieu of homemade creations – the game pie is once again enjoying a time in the sun, albeit in a more accessible (and thereby less elaborate) way. The availability of game is on the up after being highlighted by top chefs (tandoori squirrel anyone?) and gastropubs across the country, while Bake Off mania has meant a growth in demand for tins and moulds in every possible shape and size. Greater understanding of the benefits of game along with the social reach of celebrity chefs, baking programmes and general food culture helping to get cooks inspired again in the kitchen means, happily, the game pie is back on the menu.